This site-specific work “reinstalls” the doors of 6018NORTH to create a physical questioning of access and its regulation, and of borders and their ability to organize space, ideas, and people. The door is a powerful part of theatre of regulating access – a servant to solitude and privacy, an invitation, chance or permission for entrance, a barrier to strangers or intruders. On the other hand, a door that’s been unhinged from its frame enacts a certain abandon of the normative space and normative behavior in such a space. 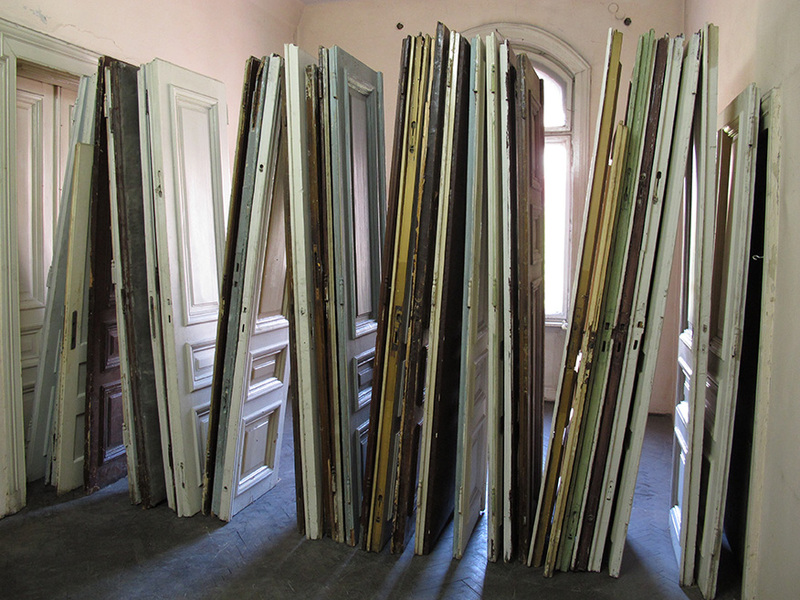 In the process of pushing a dilapidated mansion to be even more physically dysfunctional, Vlatka Horvat creates a metaphor for the possibilities and/or limits of artists’ intentions to affect the social relations of those who participate within a space.